This high bathroom glass shelf is a luxury quality. Each shelf glass is frosted with a pair of solid but chrome on brass wall brackets. 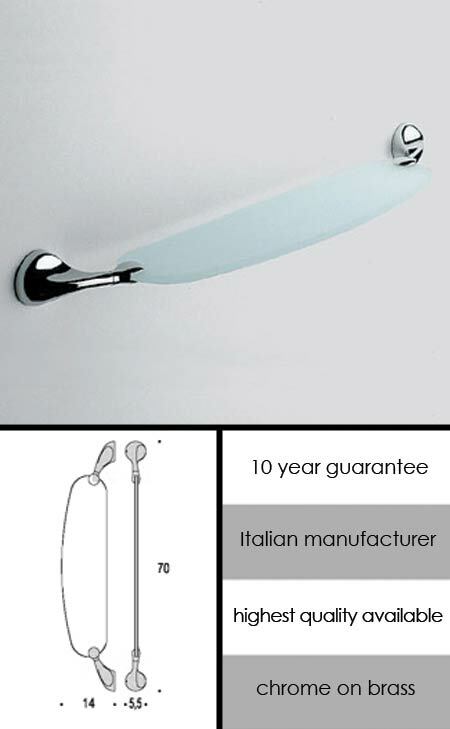 Designed in Italy this bathroom shelf is part of a larger designer bathroom accessory collection which is considered the best quality in the UK. We have been selling this collection for nearly ten years and have never had a quality or corrosion warranty claim. * Best UK bathroom accessories. * Glass shelf 700mm long.